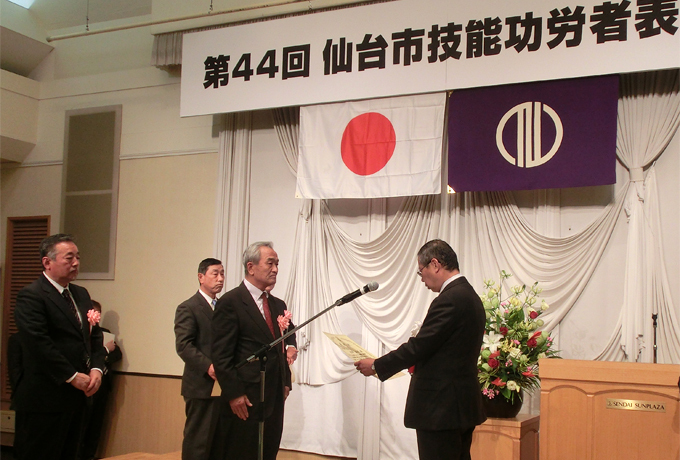 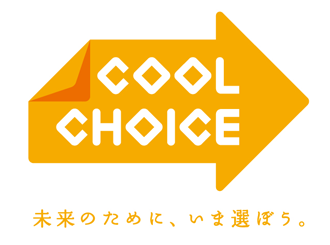 TOP > News > Mr. Tadanobu Aizawa received the 44th Sendai City Skill Achievement Award!! 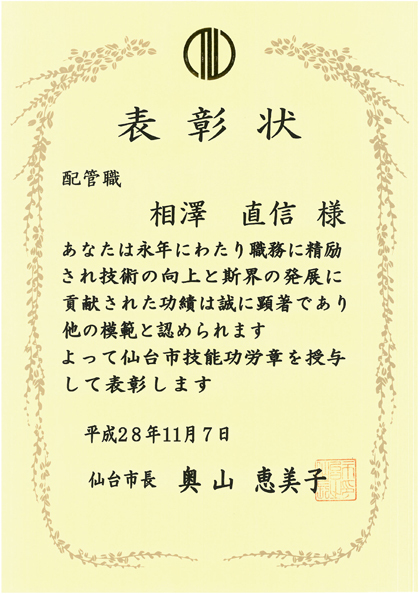 Mr. Tadanobu Aizawa received the 44th Sendai City Skill Achievement Award!! 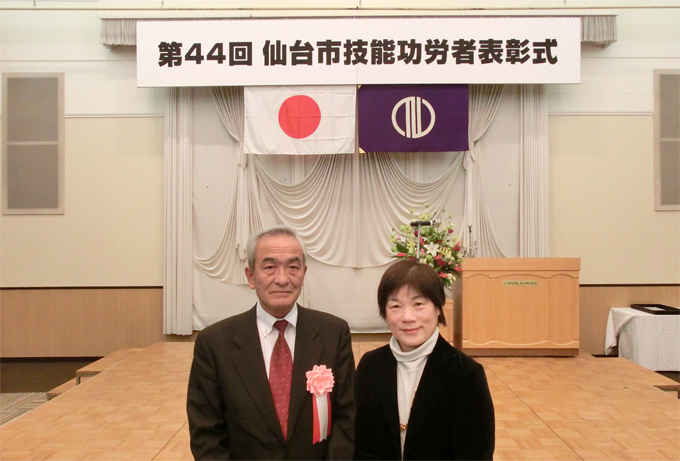 On November 7, 2008(Monday), the 44th Sendai City Skill Achievement Awards reception ceremony was held at Sendai Plaza Hotel.